Located on Whidbey Island where the Strait of San Juan de Fuca meets Admiralty Inlet, the high bluffs of Admiralty Head provided ships a turning point for Seattle and the points south. After constructing lights along the Washington coastline and the Strait in the 1850’s the Light House Board turned it attention to marking the waterways into the burgeoning Puget Sound area. Due to its important location, Admiralty Head became the first location to receive a lighthouse. 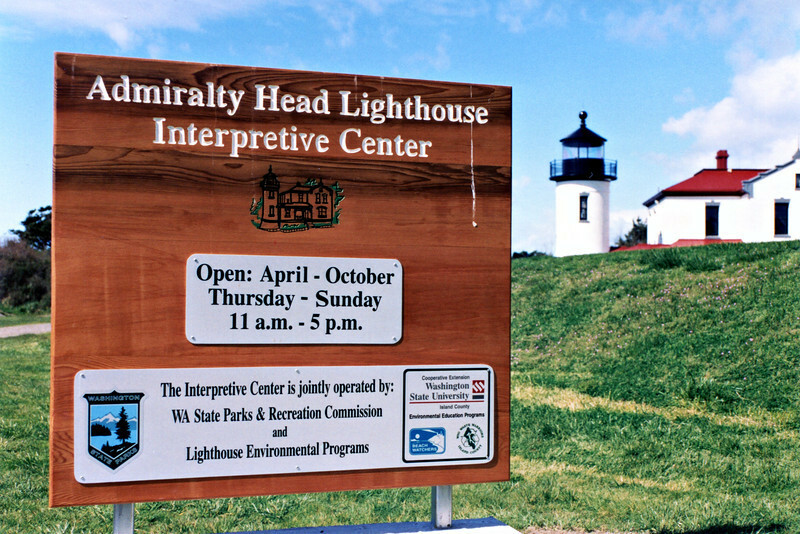 In 1858 for $400 the Federal government purchased 10 acres of land on Whidbey Island from Dr. John Kellogg for the purpose of erecting a lighthouse. The land was in an area known as ‘Red Bluff’ and this name was used interchangeably with Admiralty Head. Construction began on August 1, 1860 on the first wood frame lighthouse in Washington.